There are several things I am focusing on this year, but perhaps the most important to me is what I am calling “creative balance”. In looking back at 2015 I noticed a lot of personal guilt when it comes to responsibilities. I have a very difficult time doing anything creative when there are household chores to be done. (And there are always chores to be done.) At the same time, avoiding creative work makes me depressed and depression leaves me even less inclined to tackle regular chores. Do we see the vicious cycle? To some degree these parts of myself cannot be changed. What I can do is learn how to balance them in the most productive and least detrimental way possible. Less focusing on total completion and more focus on positive progress. I feel it is more important to give a little bit of time to each group of creative things on my list than to let all but one or two of the things fall by the wayside. It might make progress slower on an individual task level, but on the big picture scale I actually manage to achieve more. 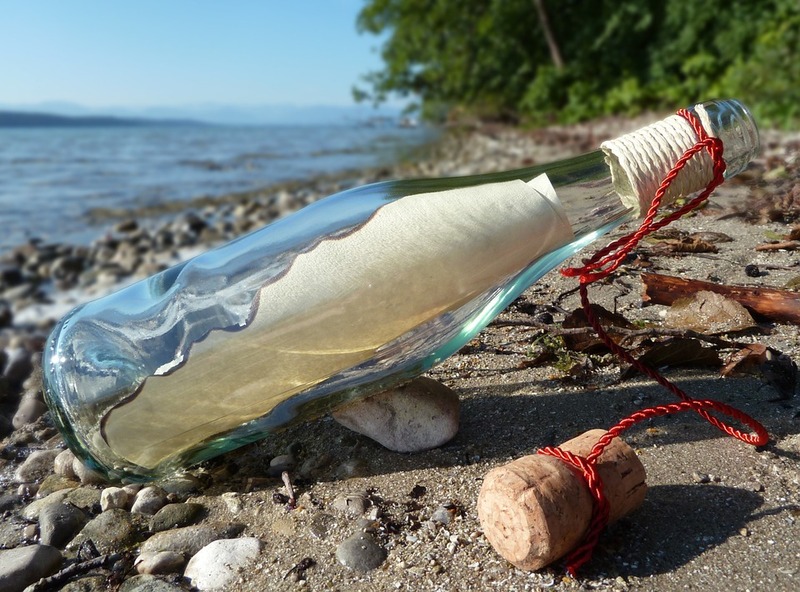 As far as writing and publishing goals go, this is my year of the message in a bottle. Last year was the first time I began to put serious consideration into sending my work out to journals. Over the year I completed 19 different submissions. I was putting my toe in the water and gauging the effort it might take to swim. So far I have received only rejections – though a couple of those submissions are still being reviewed – but it has not deterred me. I believe in my work. I believe in my voice. And with time, effort, and a dash of luck, I believe other people will believe in my words enough to share them too. I’d like to say that this year my goal is to get just one acceptance letter. That, however, is not within my control, and goals that are not within my control are most often detrimental to my well being. What is within my control is the effort spent researching journals and submitting my work. I can control how many bottles I throw into the ocean. I cannot control what the ocean does with them. What do you hope 2016 will bring you? I forewent resolutions this year in favor of a guiding theme, but I did make a list of what I call New Year’s Intentions, with items like “Sit less, move more” and “stretch myself creatively.” Nothing concrete or pass/fail, just a list of guiding principles. I’d love to read your thoughts on that book. And I like that you made New Year’s Intentions. I really believe that if you just remain conscious of the changes you want to make and keep them in mind, you will start to make them. (Unless you’re just too dang stubborn to change your ways of course!) It’s when we forget about the goals or intentions we have that we do nothing at all to reach them. I will hope very much for our bottles to float on kind seas to welcoming islands! !